World of Warcraft will celebrate its 10th anniversary later this year while the franchise itself will be 20 years old. Despite having some ups and downs, a 10-year run is incredibly impressive for any game and its creator is showing no sign of slowing down. The latest expansion pack, Warlords of Draenor, is still months away but Activision Blizzard has already sold more than 1 million copies via pre-order. The company also revealed that total World of Warcraft subscriber numbers have dropped from 7.8 million to 7.6 million during the last quarter. It’s not the million plus subscriber loss we saw during the same time a year ago but a loss is a loss no matter how you slice it. This will be the fifth expansion pack in the World of Warcraft lineage. It comes after The Burning Crusade (2007), Wrath of the Lich King (2008), Cataclysm (2010) and Mists of Pandaria (2012). 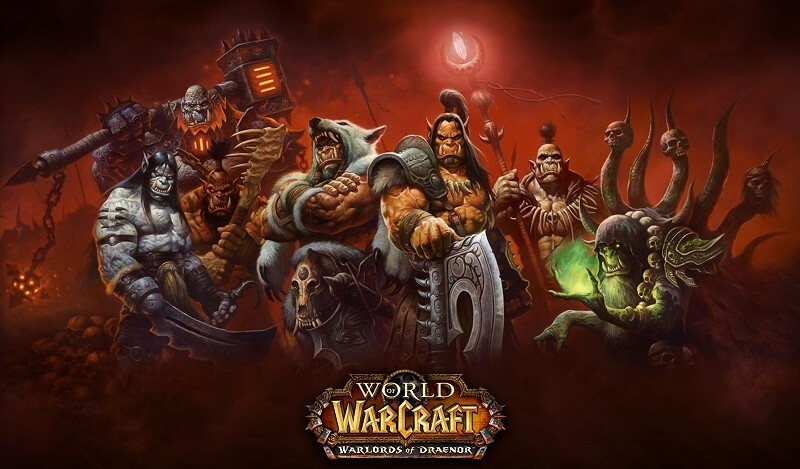 Warlords of Draenor will deliver seven new zones, raise the level cap to 100 and give gamers the opportunity to instantly start any one character at level 90 so they start on a more level playing field. In the event gamers want to boost a second, third or fourth character to level 90 instantly, they’ll need to shell out $60 a pop. That’s a lot of money although as Blizzard lead encounter designer Ion Hazzikostas outlined earlier this month, they didn’t want to devalue the accomplishment of leveling.